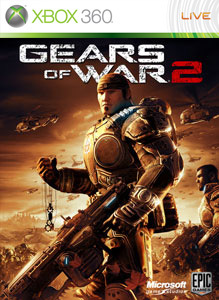 "This winter-themed pack brings you four Gears of War 2 maps sure to heat up your multiplayer and Horde action. Hunt your enemies down in the snowy day-lit heights or the dark tunnels of Under Hill. The massive industrial complex of Grind Yard gives numerous bunkers for cover, but watch out for snipers high in the flanking buildings. Beware the falling monuments in Courtyard, where wide-open spaces give you plenty of opportunities to gun down your enemies—unless they strike first. And due to fan demand, the popular Gears 1 map Fuel Depot makes its return." The Maps will cost 800 Points ($10.00) and will take up 83 MB of Space.